Post 1980 you’d be hard pressed to find a more influential heavy metal album-and a near perfect one at that-as Judas Priest’s British Steel. The 30th anniversary remastered 2-disc edition of this seminal album has just been released. I love “United,” with one of the best Rob Halford vocals ever and a crowd-waving-a-flag commercial chorus and strutting verses, and the uncharacteristic bass funk beginning (and bridge) of “The Rage” had me wishing the band would have stayed with the funk, still Halford’s vocals raises even this mediocre tune to a whole other level. “Steeler” ends it all, much like the opener with its break neck pace, and the all too often under appreciated Ian Hill perfect bottom bass playing. The second disc is a DVD from the band’s 2009 British Steel US tour, where they performed all of B.S. plus later tunes like “Prophecy.” There’s also that great interview making of section, where the guys (minus drummer Travis), run through the album track by track. Let’s face it, Priest was not the first band to use a double guitar attack (lest we forget Thin Lizzy), but Glenn Tipton and K. K. Downing do contribute a guitar sound unique to the world of guitars (as well as their songwriting), Halford’s voice is second to none in the metal field and Hill and Travis are too tight for words. 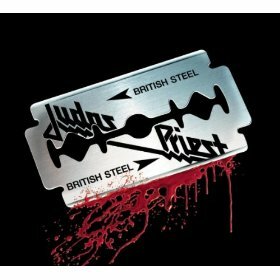 British Steel 30th Anniversary Edition is a re-mastered gem of perfect Priest tunes and stellar metal playing.